Spanish General, born in Lorca (Murcia) in October 1780 and died in Chile in 1847. He/She was appointed second lieutenant in 1798, and attended in that capacity to the defense of el Ferrol. He/She participated in the war of independence. He/She was present at the attack of San Onofre and in Valencia defending in 1808. As captain of the regiment of infantry of Valencia, fought in the second siege of Zaragoza, where he/she was wounded and made prisoner; However, when it was transferred to France, he/she managed to escape. 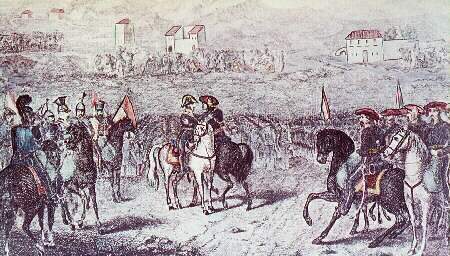 In December 1813, when already was Colonel first head of Talavera infantry regiment, embarked with destination to the Viceroyalty of the Peru to restore the Spanish authority in that region. Entrusted the reconquest of Chile and, after obtaining some victories, he/she was defeated in Chacabuco in 1817. He/She then returned to Lima and was named general in Chief of the army of the Peru and later field marshal. He/She returned to Spain in 1825, and from then on their promotions in the military hierarchy were continuous: was appointed general commander of Toledo in 1833, general commander of Vizcaya in 1835 and, on May 15, 1838, general in Chief of the army. Precisely when he/she was the general headquarters of the province of Toledo, in the country noted the first signs of civil war. Maroto embraced the cause of the pretender Don Carlos and starred in the called executions of Estella on February 18, 1839, in which several generals and other Carlist chiefs were killed. Two days later, Maroto sent an explanatory letter to Don Carlos. Discord was on the side of the partisans of the suitor and seeing already lost their cause, Maroto was forced to accept the Convention of Vergara on 31 August 1839, strengthened by their famous embrace with Espartero , who put an end to that war. As a result of this agreement, Maroto was named captain general of the Spanish army and then Minister of the Supreme tribunal of war and Navy. In 1847 he/she went to Chile to arrange private affairs and died there at the age of 64. Embrace in Vergara between Espartero and Maroto.